Pokemon Outlaw contains unique story that makes it different to other Pokemon games. In the original FireRed, you are with your mom living in a decent house with plenty of gadgets in your room. In Pokemon Outlaw, it’s entirely unusual, and the story begins with a 15-year old homeless orphan living with rough and lonely life but eventually will rise to greatness. You can see some changes in the Kanto map, new buildings, and some places added, and some removed. 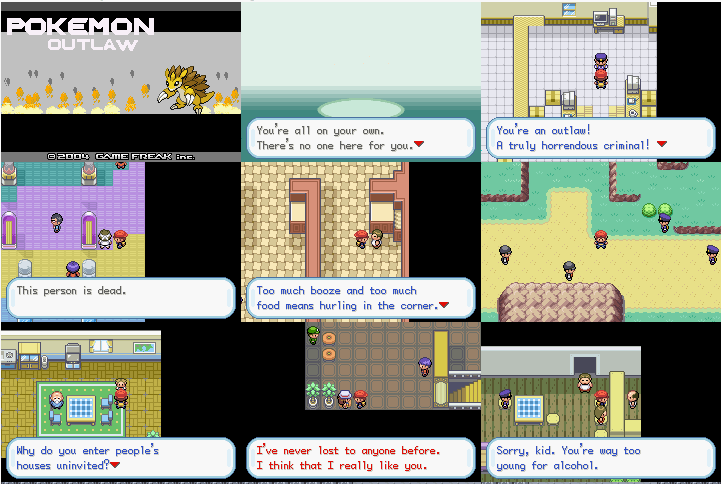 If you think the story of Pokemon Outlaw is sad, well it’s not, in fact, it is a comedy. The game is full of jokes and funny dialogues that will surely make your day. Some jokes might find you offensive but don’t take it seriously, this is only a game of entertainment, just have some fun. Slums(poor people/crime areas) in many of Kanto’s major cities. No crappy Mt.Moon or boring Viridian Forest. Major twist in Pokemon League that’s totally awesome. (Won’t tell you what. Play the game, loser). Best parts of FireRed still kept in game but changed to keep it somewhat fresh. You can use running shoes inside buildings? You’re a true outlaw. You don’t take sides like a coward. You take on the Government, the Police, Team Rocket, Silph Co and powers beyond the comprehension of human intelligence. I’m using John Gba and it doesn’t work. Is someone else having this problem? The app says that it can’t find any rom, but I have downloaded it 2 two times. I have even tried to open it by myself, but still doesn’t work. I have make sure that the file is in the correct place. Sorry Max but this is a patch file and not a GBA file, you have to patch it yourself to your FireRed rom before you can play the game. 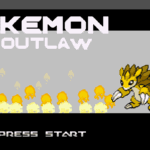 Pokemon Outlaw is a FireRed based ROM hack, so a regular FireRed cheat codes could work in the game. Give em a try.